Founded in 2005 and operating out of Canada, Dream Cymbals crafts hand-made drum set and orchestral cymbals. Though based in Canada, Dream manufactures all of their products in a family-owned gong factory in the Wuhan region of China. 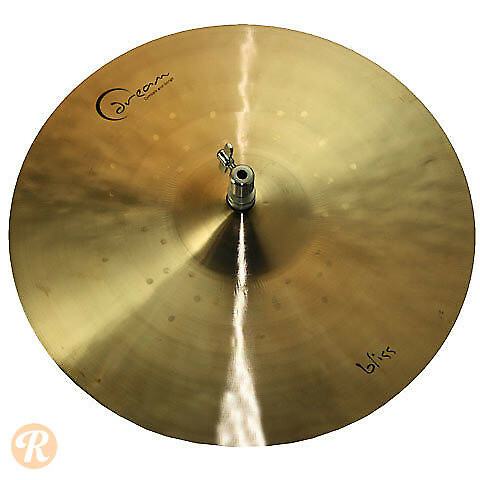 Opting for traditional Chinese cymbal-making methods as opposed to the popular Turkish means, each Dream cymbal is unique, even two of the exact same model and size. The Bliss series is made in a traditional micro-lathing process with a smaller bell, broad bow design and light weight. The result is an atmospheric character with a brighter tonality than other Dream lines and organic stick feel. Woody, warm and well-blended in a mix, the Bliss Hi-Hat sports a "vintage" tonality and supple stick feel. This price reflects the bottom hat.